Update May 16, 2017: The Half-Life 2 VR mod has been greenlit. With a 95% ‘yes’ rate and the support of over 15,000 people, the Half-Life 2 VR mod has been officially greenlit on Steam. This will make it easier for the team to make, and for all of us to install when they “start releasing builds”. Have more fun with goggles in our list of the best VR games. There’s no word on when exactly that’ll be, but the devs have put out a request for programmers and artists who might want “to help make Half-Life 2 great again”. If you have the skills, get in touch through the Greenlight page. In the meantime, you can check out this Imgur gallery of luscious, 4K, remastered screens. Here’s the announcement on Steam, resplendent with not one buttwoGabe Newell gifs. Original story May 11, 2017:A group of modders have restored some of Valve’s abandoned VR code for Half-Life 2. The entire game will be playable in Oculus and Vive, and it also boasts some remastered visuals so you don’t barf all over your own face. Because Half-Life 2 is pretty ugly by today’s standards and might turn your stomach in VR, this version features HDR lighting, as well as updated textures, models, and maps. Outside of that, there’s a custom UI, made for VR, multiple movement options, and bespoke weapon interactions. Yep, you’ll be manually loading the revolver, flicking out the barrel before slotting in the rounds. Because Half-Life 2’s guns were never made for flipping over and looking at in such detail, all weapons have also been remodelled. 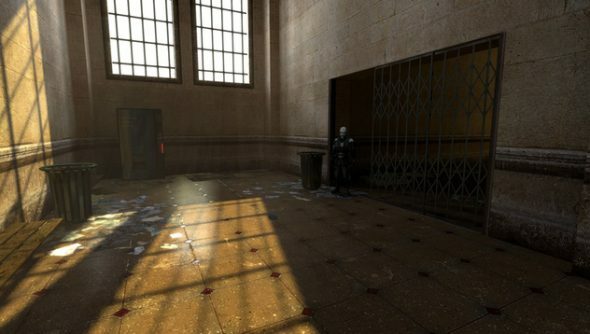 The mod will be completely free, so long as you own Half-Life 2 and all its episodes on Steam. Of course, that’s if the project picks up enough of a following on Greenlight. Pop over and give it a vote if you fancy physically beating a headcrab to death.